Superman when returned recently found himself severely inadequate to fight against the threats of modern age . The emergence Super powerful airborne radars means that Modern 5th generation fighters of the forces of Evil like the J-20 and T-50 would be able to Lock -on to Supermans Metal body from 100's of km away and be able to fire supersonic missiles at the American hero. Even if it comes to dogfight , Superman loses to modern Super cruising Engines equipped fighters which will go super sonic before Superman can say Sooooopermaaaan ! 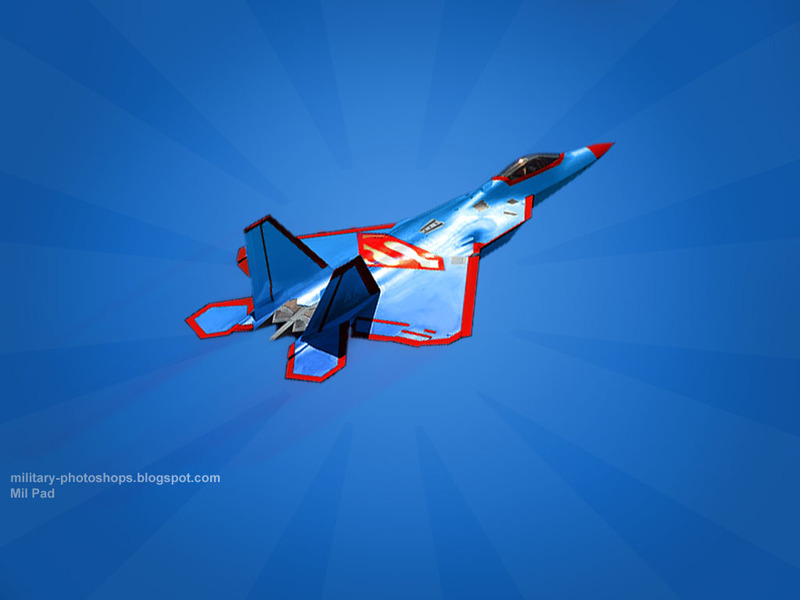 As a solution Lockheed Martin of US of A proposed the special F-22 Super Raptor equipped with solid state LASER to take the Supermans lethality to a new level .